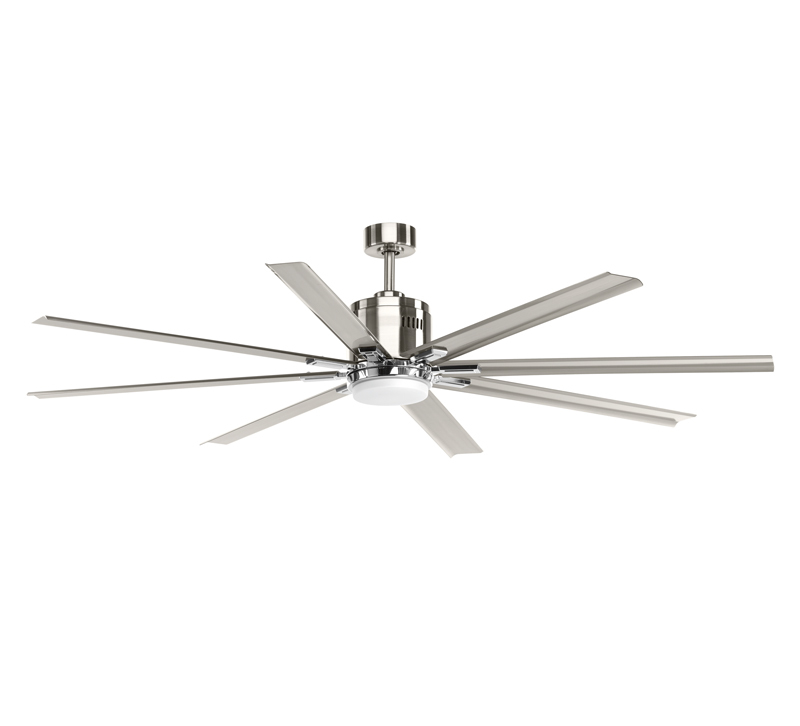 Spanning 72 inches in blade length, the Vast ceiling fan from Progress Lighting cools both indoor and covered outdoor spaces. Chrome accents add detail to the Brushed Nickel finish. Features an energy efficient DC motor, dimming capabilities and a 3000K-color temperature.